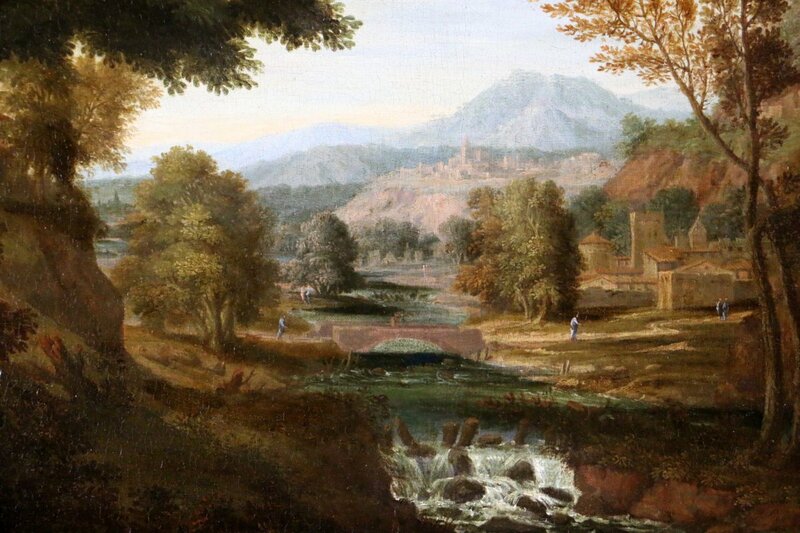 Johannes Glauber became a painter against the will of his father (the chemist Johann Rudolph Glauber (1604-1670). 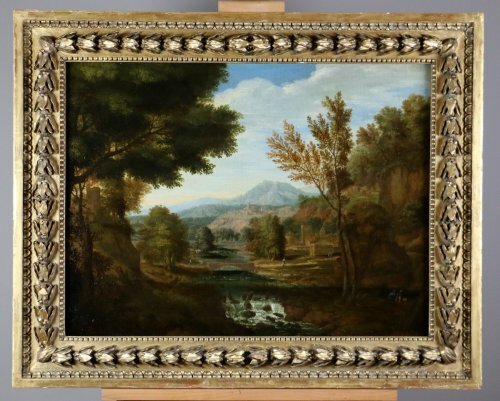 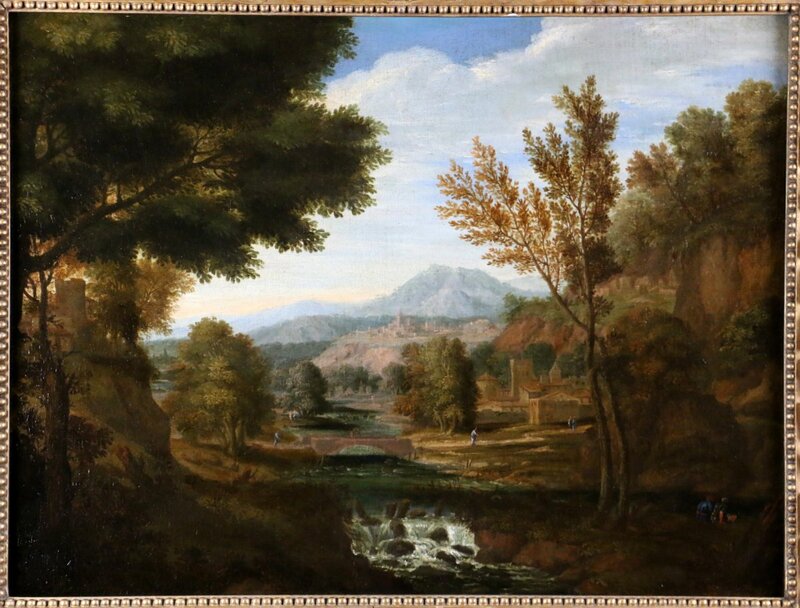 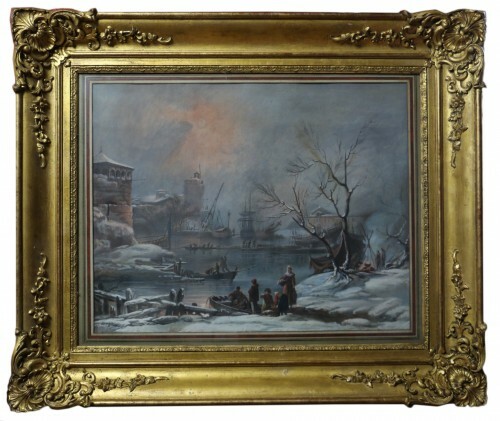 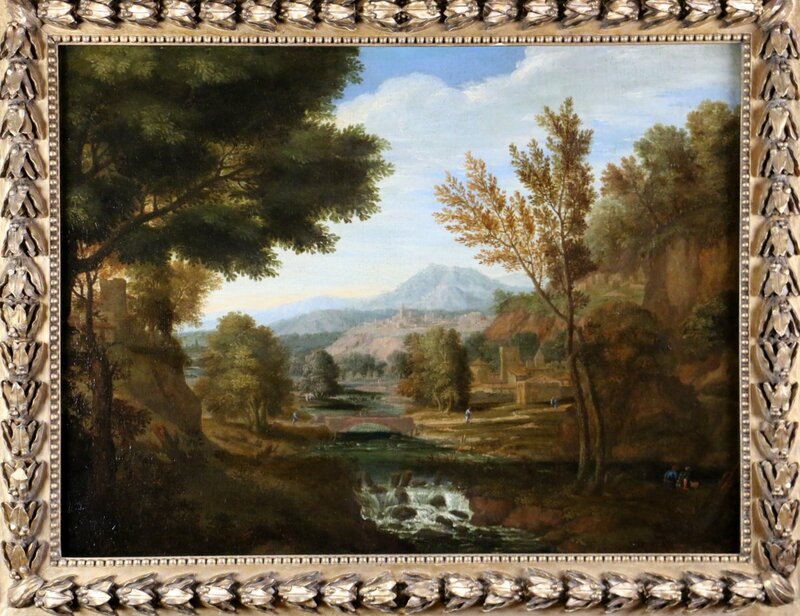 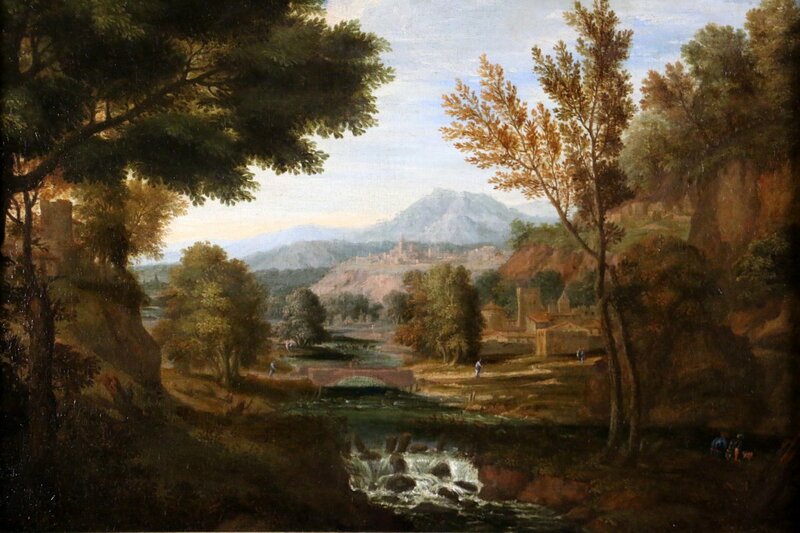 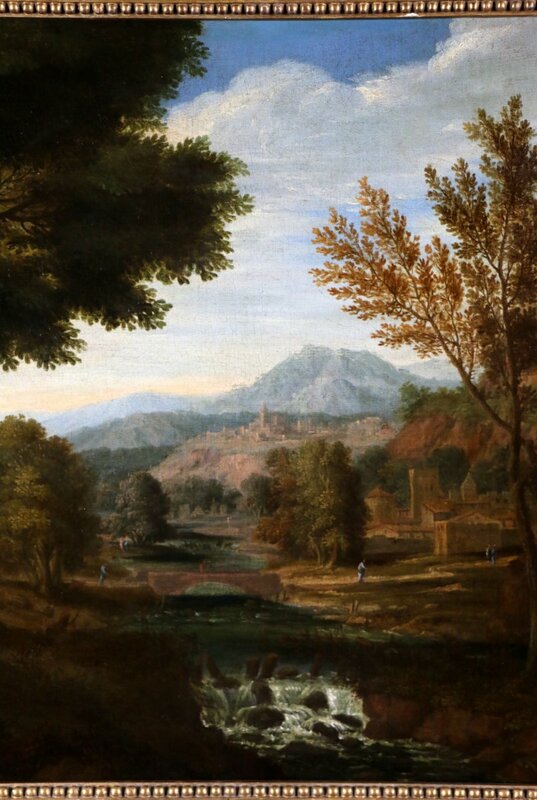 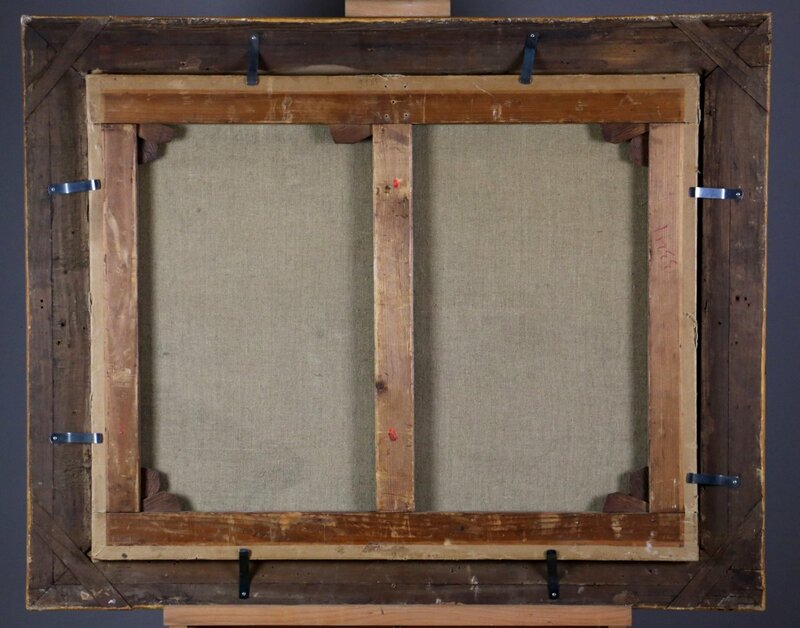 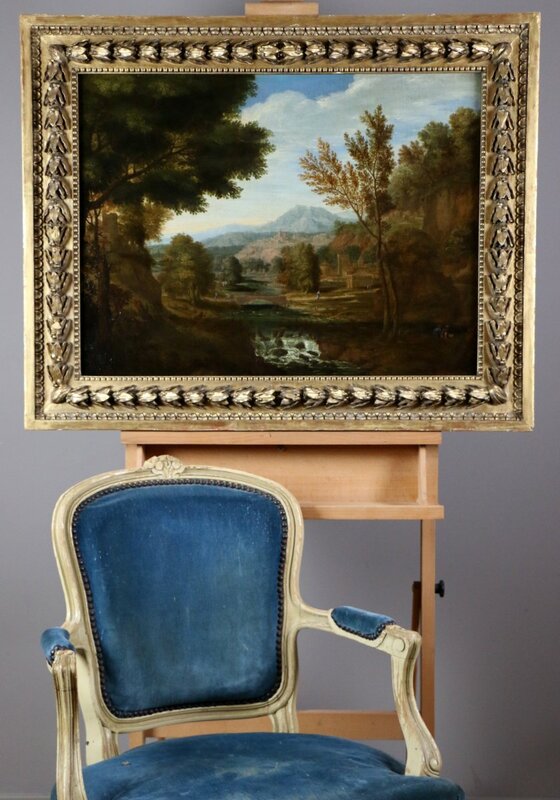 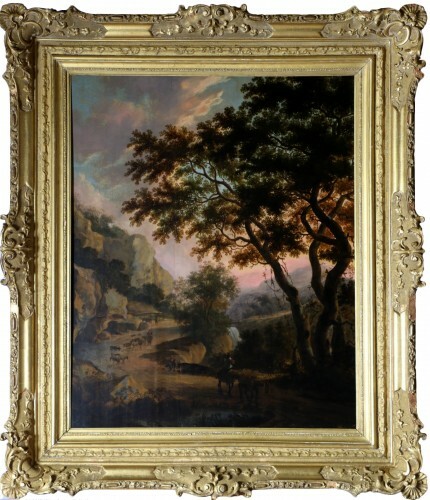 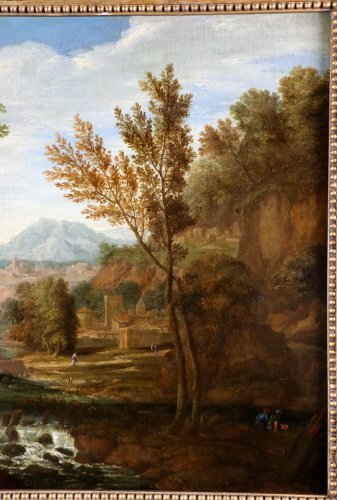 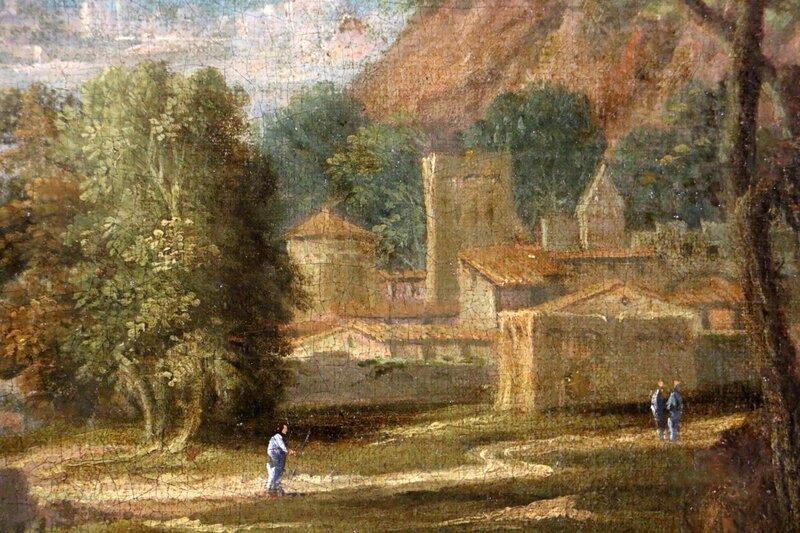 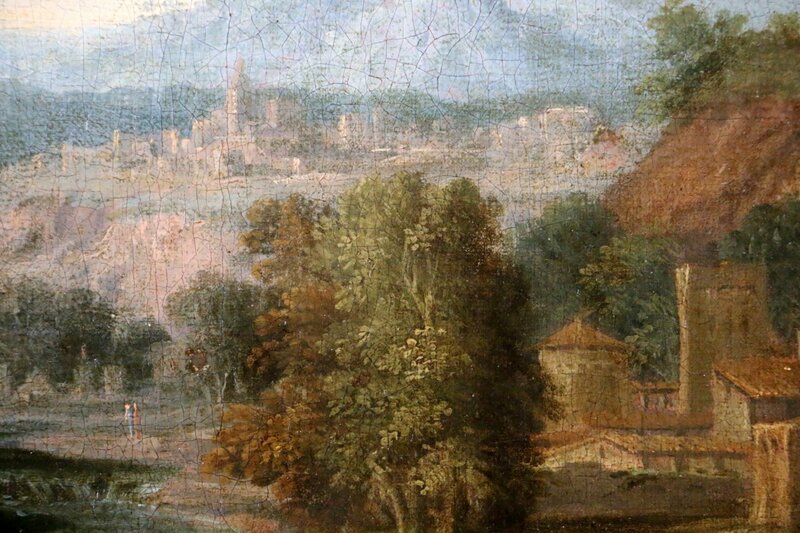 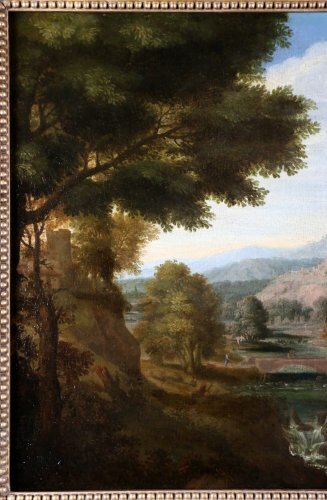 He entered the studio of Nicolaes Berchem and learned the craft by copying Italianate landscapes as demand from amateurs is increasingly growing. 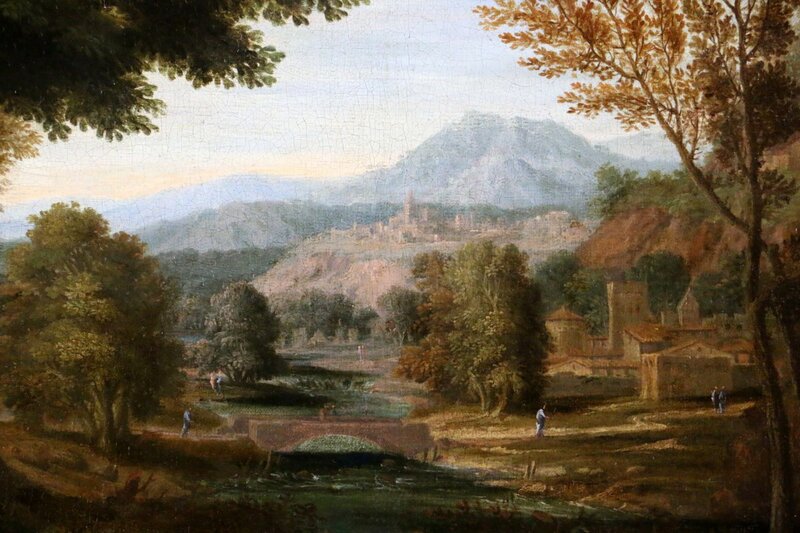 After the death of his father, he traveled to Paris with his brother Johannes Gottlieb Glauber and the brothers Van Doren. He works for Mr. Picart, art dealer on the Pont Neuf and painter of flowers native to the Netherlands. 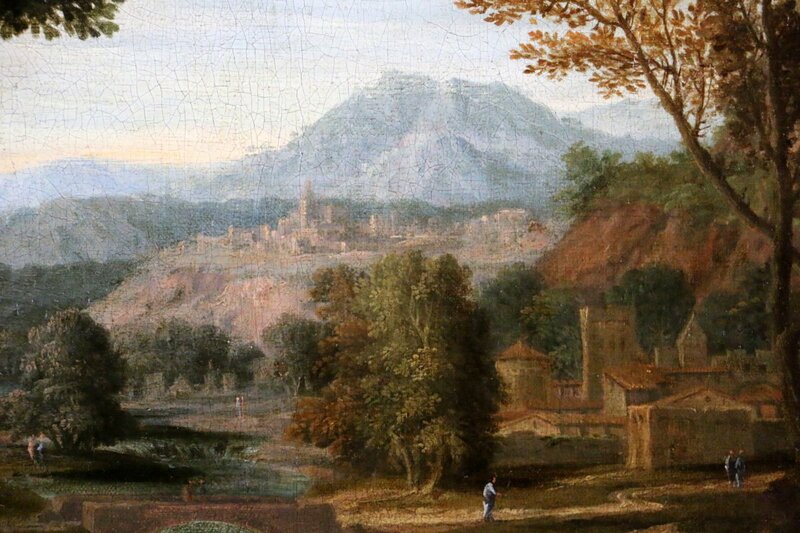 Then he went to Lyon, where he stayed for two years with the painter Adriaen van der Kabel. 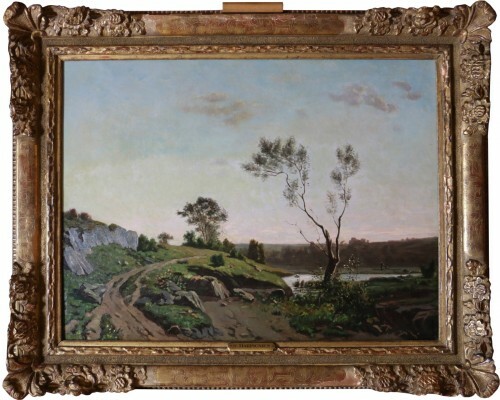 He then moved to Italy with his brother and two other French painters. After two years in Rome, he moved to Padua with his brother and the Flemish painter Robbert Duval, where they stayed for a year. 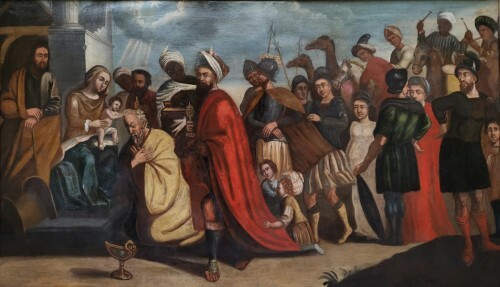 Then Venice, where they stay two years. 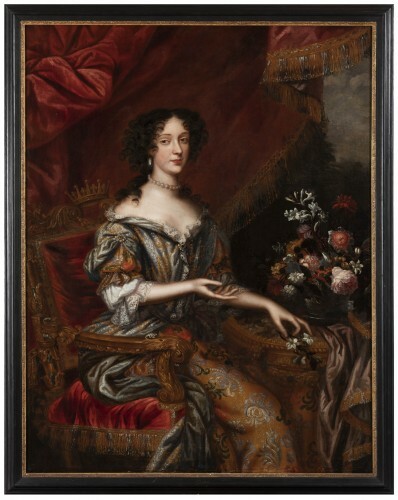 Eventually he left Italy in 1679 to the north of Hamburg, where he lived until 1684, except for a short stay in Copenhagen, where Johannes went to work for Ulrik Frederik Gyldenløve, Count of Laurvig on Charlottenborg Palace of decorations. He will be the master painter Willem Troost.